Yes, the Red Ribbon Army arc is finally over!!! Man, I just couldn't stand this arc. I mean, it was enjoyable because it's Toriyama and they are characters I love and all, but the Red Ribbon Army just weren't a threat to Son Goku. Taopaipai came close to being a threat, but not even he became a memorable villain. Not yet, anyway. I'm not 100% certain, but he might turn up later despite his apparent defeat. Taopaipai, making his first Dragon Ball appearance in this volume, was given a rather quick build-up as the classic menacing bad guy. He knocked off General Blue with ease. A tongue to the temple, actually. 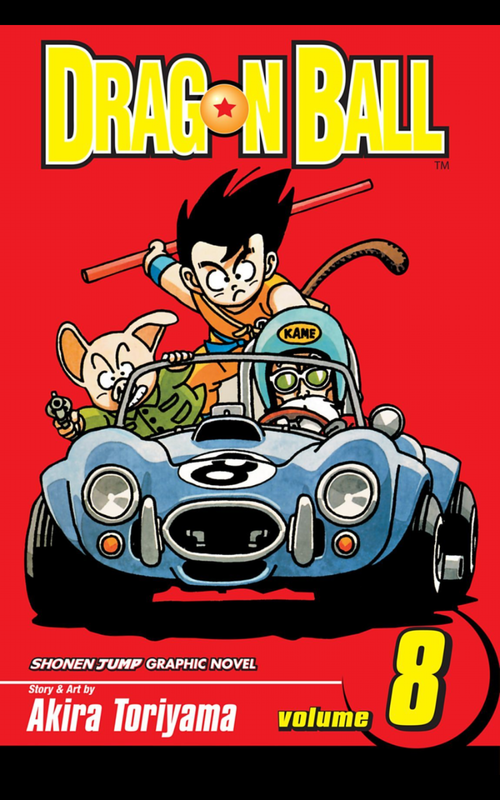 I'll admit that Blue was the only one of the Red Ribbon bad guys that seemed genuinely formidable and intelligent (at least for a Toriyama character). I knew General Blue would get tossed aside from the story sooner or later, but I kind of felt his execution was a bit too quick. Not that Blue was a great character anyway, but after a whole volume we at least learned he was a bit of a survivor. Then he gets offed in favor of the next baddie. Go figure. I saw it coming, but still. But this would turn out to be a classic Toriyama trope with villain after villain being churned out. Each one being bigger and stronger than before. Each one requiring Son Goku to go through to sort of quick training in order to combat them. In the case of Taopaipai, Son Goku had to climb Karin Tower and drink the holy water after training with Karin the 800 year old feline. The water, of course, doesn't do jack. The real gift was the training Son Goku received while trying to chase after Karin in order to get the water. With Karin Tower conquered, Son Goku gets to business with Taopaipai. Son Goku, now suped up after three days of intense training, goes toe to toe with Taopaipai and makes quick work of him. 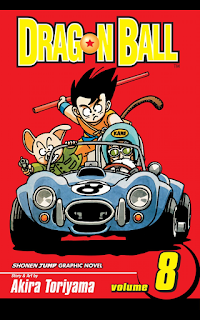 Then Son Goku goes after Red Ribbon Army HQ and the whole Army gets taken down by the final chapter of this volume. If only the anime moved this quick. Now I'm not saying I disliked this arc. It was serviceable. If I wasn't such a huge fan of some of the things that come later it might be a little tough to call this "mandatory reading." The story just wasn't riveting. And yet... there are two moments in this volume that make it super important for everything that does follow. The first is that Son Goku gets the idea to resurrect one of Taopaipai's victims using the dragon balls. The second is the introduction of the Senzu beans that can make a person good as new after being hurt or on the brink of starvation. The implications of these two concepts will be huge later on. Especially the thing about the dragon balls.